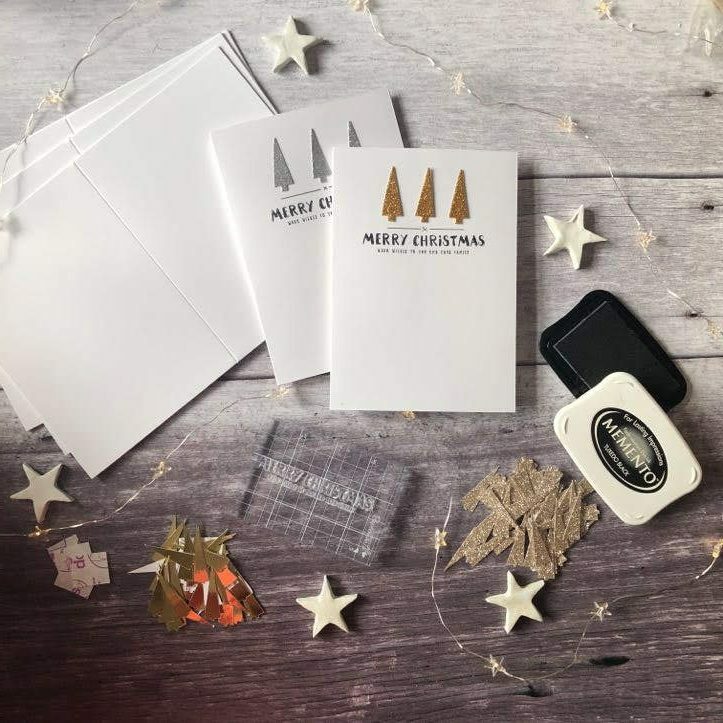 Make your own fabulous Christmas tree cards. I love getting handmade cards at Christmas and on birthdays. It’s lovely to see how people use their creativity to come up with something beautiful and personal. 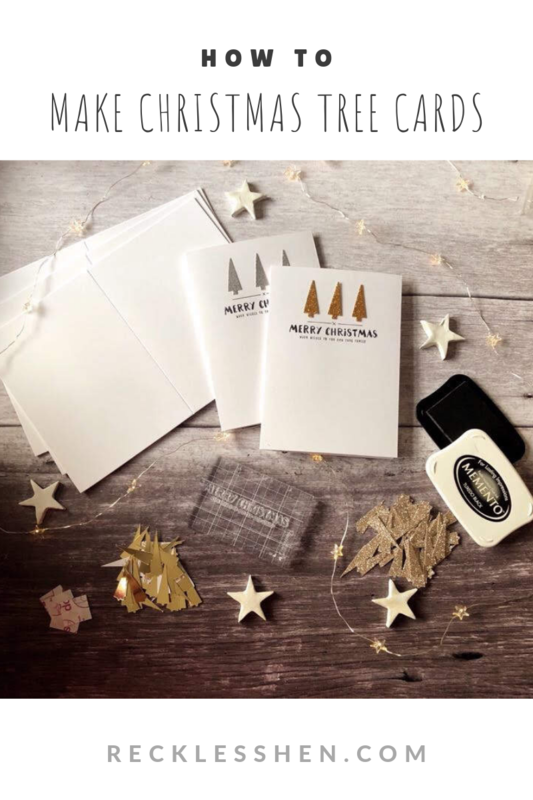 Add a persoanl touch to your Christmas this year and make your family and friends feel extra special with a handmade Christmas card. These cards are super simple and look stunning. Don’t you just love a bit (or in my case a lot) of glitter? Glitter card is something I always have in my craft stash so I decided to put it to good use for my handmade Christmas cards this year. 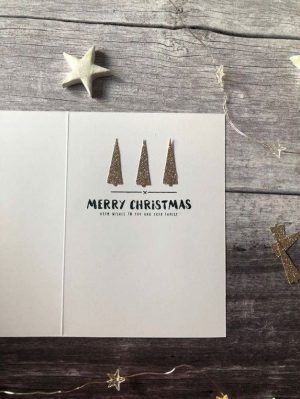 I wanted to go for something quite simple yet classy and came up with this Christmas tree design. Isn’t it so sweet? First cut some tall, thin triangles out of the glitter card. Mine are about 4cm tall and 1.5 cm wide. I used my Silhouette Cameo to make mine (you can download the cut file at the end of this post). 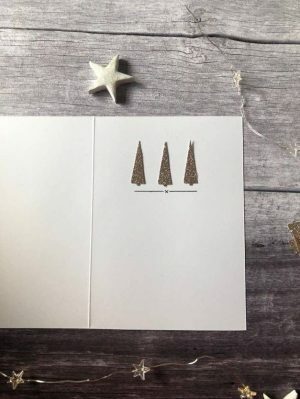 If you don’t have a cutting machine that’s not a problem, they look just as good when you cut simple tree shapes out of the glitter card using scissors. 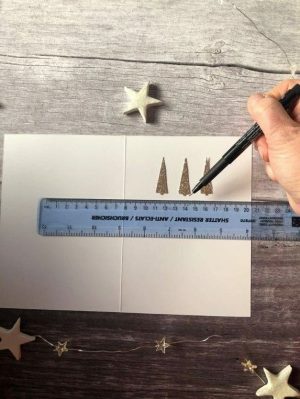 Next, line the trees up where you want them on the front of your card blank and glue in place. I used glue dots as they are quick and easy and there is no drying time. Use your ruler to draw a line under the trees. I left a break in the middle of the line and added a little X in the centre. 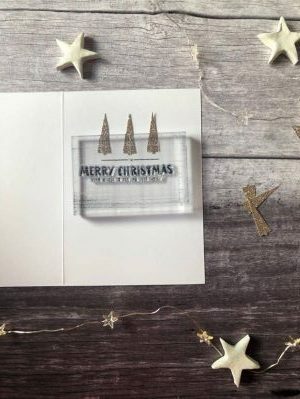 Stamp your Christmas greeting underneath your trees. 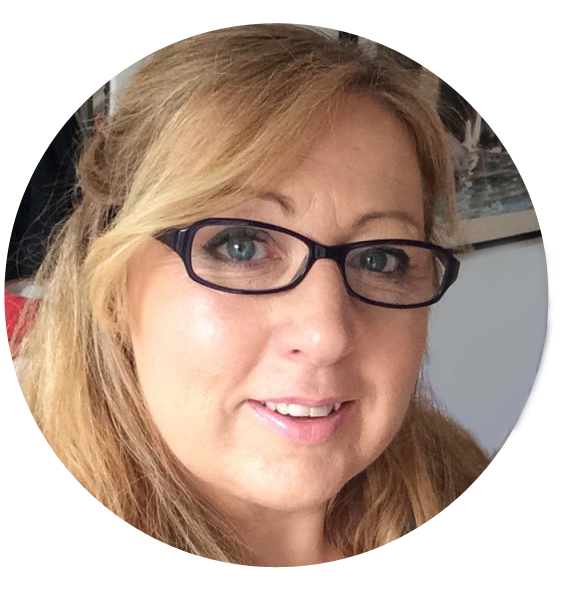 If you don’t have a suitable greeting stamp, I have made a template that you can download (see end of post) and print on to a 5x7in card blank on your home printer. Hey Presto! It’s as simple as that. 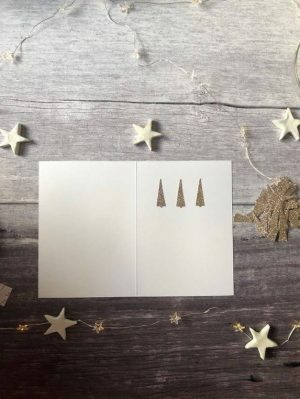 You have a beautifully simple, classy handmade Christmas card to send to all your family and friends. I made some cards in silver glitter card as well and I have some gold and silver mirror card that I am going to do some in too. If you would like to download the cut file for the Silhouette cameo you can do that here. If you want to use my greetings template you can download it here. Please Note: this design remains the property of RecklessHen and it is not to be sold or distributed in any way. Cards made from this design are for personal use only and must not be sold in any shape or form. Happy card making and don’t forget to Pin this tutorial to come back to again. Follow RecklessHen on Instagram and Facebook to keep up to date with the latest tutorials.